The Ivar Giæver Geomagnetic Laboratory (IGGL) is a Norwegian national research infrastructure for geomagnetism, paleomagnetism and rock magnetism hosted by the Centre for Earth Evolution and Dynamics (CEED) at the University of Oslo and run in partnership with the University of Bergen (UiB), the Norwegian University of Science and Technology (NTNU) and the Geological Survey of Norway (NGU). 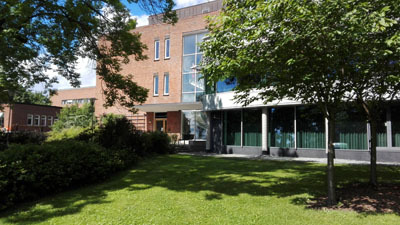 The national laboratory serves to the geomagnetic, paleomagnetic and rock-magnetic community in Norway and abroad by providing free access to state-of-the-art research facilities, and scientific and technical expertise. The IGGL is funded by the Research Council of Norway (NFR) and the Centre for Earth Evolution and Dynamics.